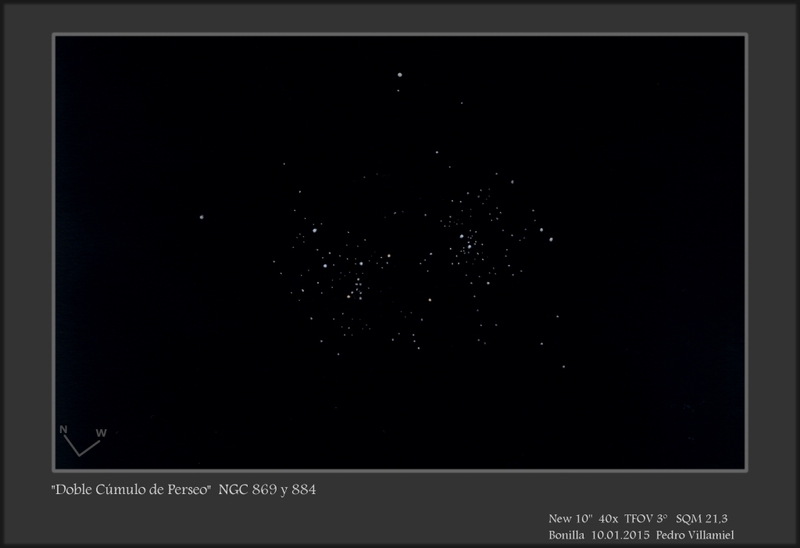 Excellent representation of the Double Cluster. This is quite a challenge and recorded beautifully here. Thank you for sharing it. Great looking capture of these two fine open clusters. A difficult target to take on. Thank You. It is a pleasure to share with others. This object requires a previous approach, but is not as difficult as it seems.